Addressing the BJP's National Convention in New Delhi Saturday, Modi referred to a reported statement of Kumaraswamy about functioning like a clerk. 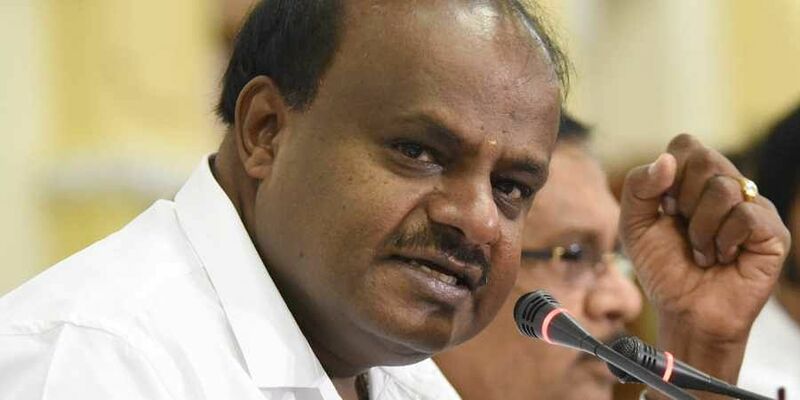 BENGALURU: Karnataka Chief Minister H D Kumaraswamy Saturday said he was "amused" at Prime Minister Narendra Modi's "clerk" comment referring to him and clarified that he had never made such a statement. "I am amused to see Hon'ble Prime Minister @narendramodi reacting to a statement which I never made. After farmers loan this is the second time he is reacting tofalse information/statement. Such statements won't deter our coalition government from the development agenda," Kumaraswamy said in a tweet. The "farmers' loan" was a reference to Modi's statement at a rally in Ghazipur in Uttar Pradesh in December 29 last year that Congress promised loan waivers to lakhs of farmers, but the JD(S)-Congress coalition in Karnataka did not deliver. "In Karnataka, where there is a coalition government, what is the Chief Minister there saying? Karnataka Chief Minister, who is the Chief Minister of a coalition government. It has been a just few months, but he is worried so much that he is saying that instead of (being treated as) Chief Minister, he is being treated like a clerk," Modi said. According to some media reports, Kumaraswamy, during the recent meeting with party legislators, had told them that he was working under pressure. Kumaraswamy had on Thursday rubbished the media reports, terming them as "speculative" and "imaginary". Reacting to the Prime Minister's comments, JD(S) supremo and former Prime Minister H D Deve Gowda asked "Will he praise the coalition government and not criticise?" No one should speak lightly about anybody. I don't have the practise of talking lightly about anyone. Idon't want its advantage also", he said. The state Congress too has hit back at Modi, calling him a "leader of failures". He said "Modi doesn't know anything. He is trying to instigate." Karnataka BJP leaders Prahlad Joshi and Jagadish Shettar defended Modi's remark, saying that he was only quoting Kumaraswamy.